Purging the digital memories of the past can be easy but difficult at the same time. You know you will never need the things you are getting rid of again but there is always a what if or just in case thing at play. Getting rid of old files and that sort of thing can be tough but you can’t keep everything. Backups even need to be purged too to free up space but to keep your digital life current. It’s another reminder you can only move forward and create new experiences and making room digitally is a good thing. Your digital past are the building blocks of your future. It’s cool when you read a blog and they say it’s Saturday when where you are it’s still Friday. This blogging thing spans time, space and the planet. Blogging is universal and community building. To everyone where it’s a different time from where I am I hope you have an awesome day! Keep on blogging, the world depends on it. May the peace of your creator sustain you. May there be peace in our hearts so it can be in our homes. May peace be in our homes that it spills out into community. May there be peace in our communities that it spreads into the world. May peace be in all of time and space throughout all dimensions. May you have that kind of peace always. 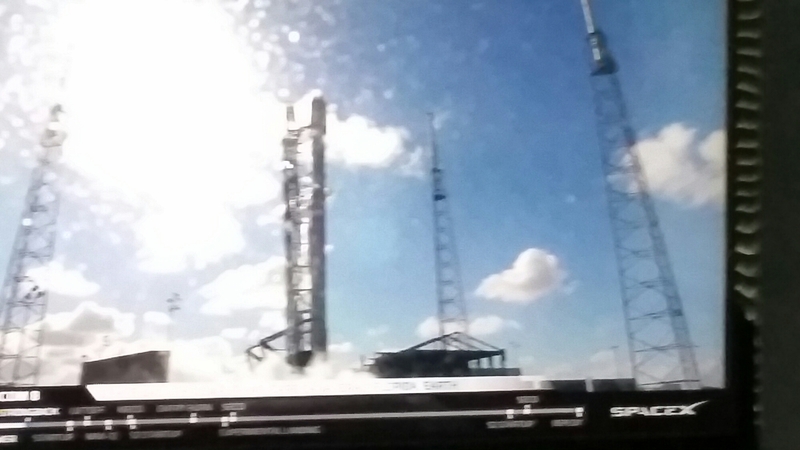 Thaicom 8 is at Cape Canaveral, Florida in preparation launch activity.